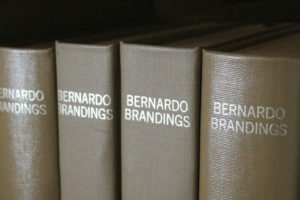 We have digitized our collection of “Bernardo Brandings,” an early community publication. More than 10 years of magazines were published and we have posted issues from 1962-1967. We have the remaining issues, from 1968-1974 at the museum. If you would like to view the remaining issues please Contact Us to make an appointment with our collections staff. You can search text in the individual issues listed below as these documents have been scanned and optimized to be searched in Adobe Acrobat. You will need to download the document and open in Adobe Acrobat Reader and use the search function. If you do not have Acrobat Reader on your computer you can download a free version of Acrobat Reader on the Adobe Acrobat website.